The proliferation of devices and the want to consume data without any lag is pressing the need to bring data centers closer to customers, thereby, driving the necessity of edge computing. Edge computing, which complements the cloud offerings and inches closer to a more distributed network, will see many takers 2018 onwards. Internet of Things (IoT) devices will touch 50 million by 2020, as per a report by Gartner. Also, as per an IDC report, the amount of data being generated is doubling every two years and by 2025, nearly 80 billion devices will be connected to the internet. In the meantime, this overwhelming data generation and increase in digital business projects will also come with a set of challenges, which the companies will have to tackle in a bid to provide seamless and secure services to its customers. In this backdrop, edge computing will gain prominence and aid companies in weeding out roadblocks. 1. Latency: Any device connected to the internet has to be responsive in a matter of milliseconds. Any lag in the communication between network and devices is termed as latency. Edge computing can eliminate latency issue as it works on the principle of a more distributed network, makes sure there is no disconnect in real-time information processing and gives a more reliable network. 2. Security: In an edge architecture, any outage would be limited to the edge computing device and the local applications on that device. 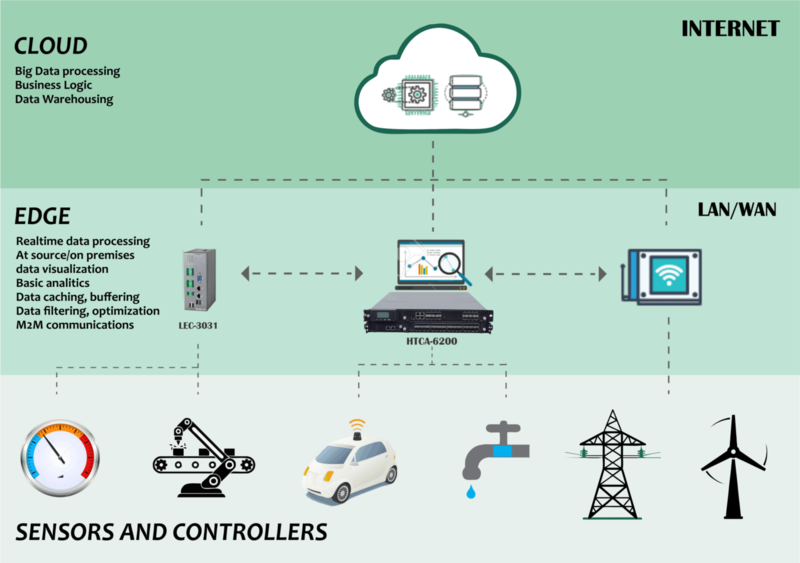 APC by Schneider Electric works with new or existing systems to optimize monitoring and to spot and prevent power problems before they occur. 3. Real-time data: Edge computing sites send real-time data and alerts without any disturbances. The efficient monitoring system can prevent and rectify issues even before they arise. 4. Cost: Edge computing minimizes the capital outlay and operating expenses. The APC by Schneider Electric’s solutions integrate with new or existing hardware and software and configure to scale so you can control costs now and plan for future growth only as needed. It is even awarding a 75%* cashback to complete the remaining IT Infrastructure. 5. Governance: Every company wants to build a culture of information technology at par with industry standards, complying with data regulations. APC by Schneider Electric gives out end-to-end services, meeting all requirements. Long story short: Edge computing is the buzzword of 2018 and IoT devices will, invariably, bring companies to edge infrastructure.